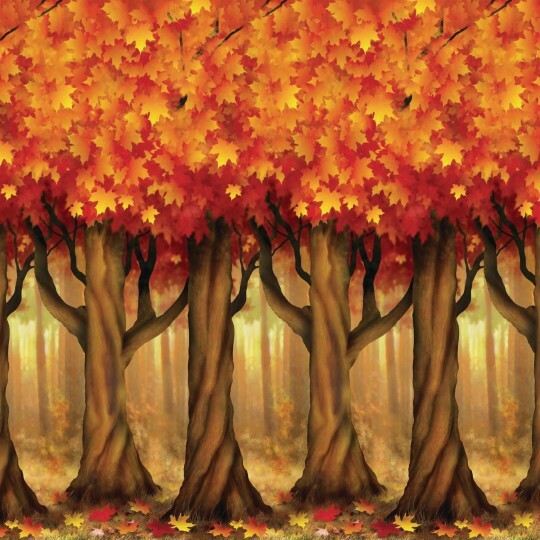 Create an indoor fall scene! 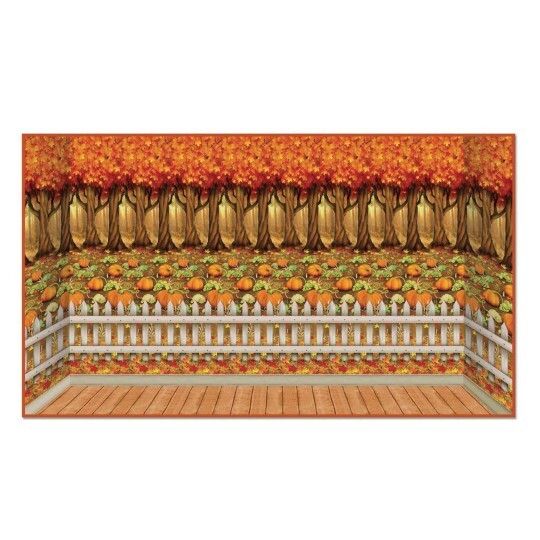 Insta-theme backdrops are perfect for a fall festival, dance, or dinner! Insta-theme backdrops are perfect for a fall festival, fall dance, Halloween party or Thanksgiving dinner. Simple to hang with double-sided tape, sold separately. Each plastic wall decoration measures 30' wide x 4' tall.